I am very grateful to share my recent article published in Business Islamica magazine. This article is also available at http://www.islamica-me.com/main.asp. 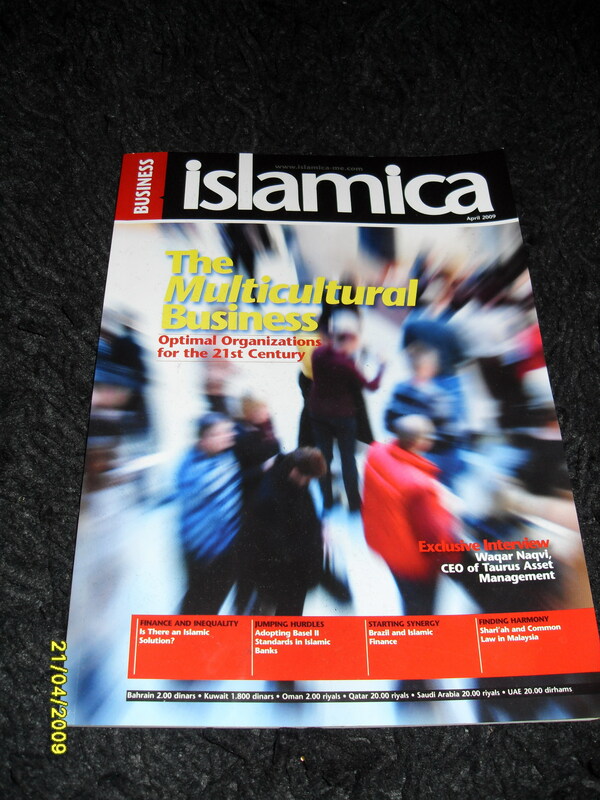 Business Islamica is the first monthly magazine of its kind in the United Arab Emirates, specifically covering all aspects of Islamic business and finance both regionally and internationally. Enjoy reading! Malaysia has a very unique legislative framework consisting of mixed legal systems, namely common law and the Shariah. Common law principles are applied in the civil courts in almost all legal matters. Islamic law is practiced in the Shariah courts and only pertains to family matters and inheritance law. The Federal Constitution places Islamic banking matters under the jurisdiction of the civil court. Malaysia has achieved tremendous growth in developing the Islamic banking industry locally as well as internationally. This achievement is due to the comprehensive approach of the authorities as well as Islamic banking players, especially in legal aspects. The growth and development of the Islamic banking industry are supported through good governance and a comprehensive legal framework. It is essential to have a standard law of practice which harmonizes Shariah and civil law in the context of Islamic banking. Common law originated in England. It is a system based on precedent derived from judgments by judges. Shariah refers to rules of Islamic law. Shariah governs many aspects of day-to-day life, including politics, economics, banking, business law, contract law and social issues. In Arabic, harmonization is known as Tawfiq, which means to bring one thing into harmony or agreement with another (two or more different types of ideas). 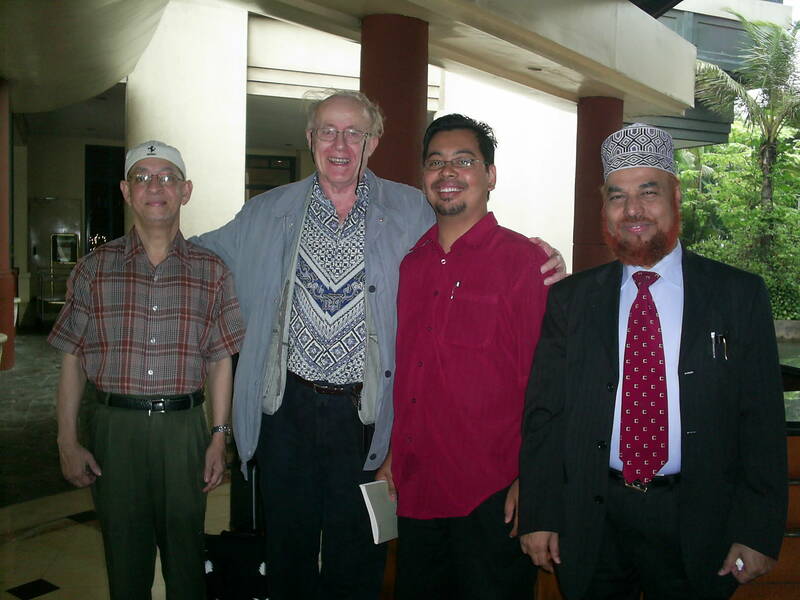 In Malaysia, this can refer to the integration of Islamic and common laws. It is interesting to note that the issue of harmonization arose out of the negotiation leading to the formation of Malaysia in 1963. With a diverse historical, racial and cultural background, the process of harmonization in the country was carried out through modification of existing laws. Harmonization of Shariah and common law in the context of Islamic banking does not mean combining these two systems without taking Shariah principles into consideration; it refers to the implementation of common law principles which are not contrary to Islamic law. The existing laws that are in line with Shariah principles can be integrated to further strengthen the legal infrastructure of Islamic banking. Malaysia decided to introduce a dual banking system in which existing conventional banking is practiced side by side with the Islamic banking system. Malaysia Berhad started its operations as Malaysias first Islamic bank in 1983, beginning what can be considered the first phase of Islamic banking in Malaysia, which lasted until 1993. In 1993, the Central Bank of Malaysia introduced an interest-free banking scheme which allowed conventional banks to offer Islamic banking products through windows. Many conventional banks set up Islamic windows once this was introduced. This was the beginning of the second phase of development for Malaysian Islamic banks, which continues today as the country liberalizes its Islamic banking policies so as to enable us to lead the sector. These phases have been facilitated and supported by legal infrastructure built through several laws and directives, particularly the Islamic Banking Act 1983, the Banking and Financial Institutions Act 1989, the Central Bank of Malaysia (Amendment) Act 2003, other relevant statutory legislation, the Central Bank of Malaysias directives and court developments. In Malaysia, separate Islamic legislation and banking regulations exist side by side with those of the conventional banking system. Islamic banking was put under the Federal List since it refers to commercial dealings, although Islamic banking actually falls under the purview of Islamic law. The legal basis for the establishment of Islamic banks was the Islamic Banking Act (IBA) of 1983. The IBA gives the Central Bank of Malaysia power to supervise and regulate Islamic banks as it does other licensed banks. However, the IBA, with 60 sections divided into eight parts, is obviously very brief and it is regulatory rather than substantive in nature. Although the IBA is general and noncomprehensive, which has led to various interpretations, it does allow flexibility for Islamic financial institutions in their operations. For example, Section 2 of the IBA defines “Islamic banking business” as “banking business whose aims and operations do not involve any element, which is not approved by the Religion of Islam.” This section can be interpreted negatively or positively. The negative view is that the IBA does not stipulate how the section is to be understood in the context of Islamic banking. On the other hand, it could be understood that the purpose of such a general provision is to create a flexible approach to the implementation of Islamic banking. As a result, Islamic financial institutions in Malaysia may offer various banking products under multiple modes of financing based on Shariah principles. Malaysia has the distinction of being first in several issuances of Islamic bonds, including the first to issue a global sovereign Sukuk. Many Islamic banking products have been introduced in a range of sectors, such as financing for personal consumption, small to medium entrepreneurs or huge corporations. The increasing demand for Islamic products has driven tremendous growth in the Islamic banking sector. Moreover, non-Muslims have also been attracted to the Islamic products offered on the market. In responding to the demands of conventional banks to open Islamic counters, Section 124 of the Banking and Financial Institutions Act 1989 (BAFIA) was introduced, which allowed conventional banks to do Islamic banking business. They are required to establish Shariah committees to advise them on any matter related to Islamic banking or finance. As the Islamic banking sector develops, there should be continuous revision of relevant laws. The Central Bank of Malaysia has several committees to review existing legislation, with the aim of removing impediments to the efficient functioning of the Islamic financial system.Apart from the IBA and the BAFIA, the Central Bank of Malaysia (Amendment) Act 2003 (CBA) has played a major role in terms of supervising and monitoring Islamic banking. The CBA mandates the National Shariah Advisory Council (SAC) as the sole authority for the civil courts pertaining to Islamic banking and finance. Section 16B (1) of the CBA 1958 provides that banks can establish an Advisory Council which would be the authority on Islamic law for the purposes of Islamic banking, finance and development finance, Takaful or any other business which is based on Shariah principles and is supervised and regulated by the Central Bank of Malaysia. The effect of the amendment is to ensure that any deliberation of the SAC will be binding in the court and should be followed by all Islamic financial institutions in Malaysia. Section 16 B (8) provides that, in any proceedings relating to Islamic banking or financial business before any court or arbitrator, if any question arises concerning a Shariah matter, the court or arbitrator may refer such question to the SAC. Rulings made by the SAC must be taken into consideration by the court, and if the reference was made by an arbitrator, be binding on the arbitrator. Another significant law in the implementation of Islamic banking is the Hire Purchase Act 1948 (HPA). The HPA only governs certain types of vehicles and it contains an element of interest. Due to the obstacles to meeting the requirement of the HPA, some Islamic banks opt to offer financing for vehicles based on the concept of Bay Bithaman Ajil. This creates problems for the bank in terms of repossession of vehicles in the case of default. Under the concept of Bay Bithaman Ajil, the bank cannot simply repossess the vehicle without a court order, while under the HPA, the bank may do it through notice of repossession. It is reported that the Central Bank of Malaysia has set up a working committee to study the requirements of an Islamic Hire Purchase Act. This act would cover not only vehicles but also financial leases of immovable property. Islamic banking products, especially for debt financing, involve trading transactions, while conventional banking products may only involve a loan transaction. Basically, this concerns the financing of houses, motor vehicles, land, consumer goods, cash line facilities, education financing packages and personal consumption. Trading transactions require two separate agreements, purchase agreements and selling agreements, and this results in double taxation. In order to stimulate the growth and development of the Islamic banking sector, the government introduced incentives for Islamic financial institutions through tax exemption. Any legal documentation that involves trading transactions will only incur normal tax, as provided under the Stamp Act 1948. This incentive is very effective and, in fact, debt financing is the biggest contributor in terms of growth and profit to Islamic financial institutions in Malaysia. 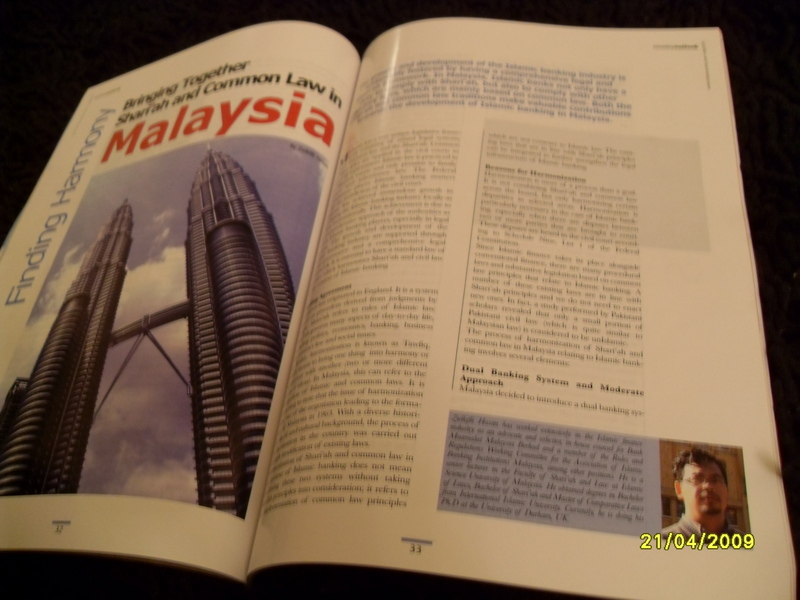 In Malaysia, Islamic banking cases are under the jurisdiction of the civil courts. The issue here is the judges in civil courts face difficulties in understanding certain concepts and terms of Islamic finance. To address this problem, the Central Bank of Malaysia, with the cooperation of the judicial body, agreed to set up a special High Court in the Commercial Division known as the Muamalah Bench. All cases under code 22A filed in the High Court of Malaya are registered and heard in the High Court Commercial Division 4. This special court deals exclusively with Islamic banking cases. The Central Bank of Malaysia has issued guidelines to regulate the governance of Shariah committees of Islamic financial institutions. According to the guidelines, Shariah committee members must have qualifications or possess necessary knowledge, expertise or experience in Islamic jurisprudence or Islamic transaction or commercial law. The guidelines also state that the SAC has the authority to decide on the Shariah compliance of any issue in Islamic finance. The impact of Malaysias harmonization approach can be seen through the achievement and growth of the Islamic banking sector in Malaysia as well as the recognition of its products worldwide. This could not have been accomplished if there were no effective and comprehensive legal mechanism for governing the implementation of Islamic banking. As Malaysia operates within both Islamic and common law traditions, the harmonization process is one of the best approaches to facilitate Islamic banking transactions.